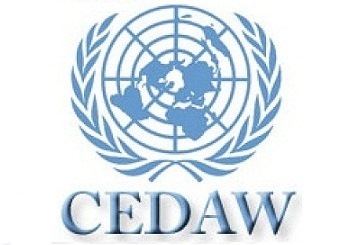 Ramallah – MIFTAH and the General Union of Palestinian Women (GUPW) held a special session on December 26, 2018 with members of the Women’s Civil Coalition for Implementing the CEDAW Agreement in Occupied Palestine, and GUPW members to discuss three of CEDAW’s (Committee on the Elimination of Discrimination against Women) recommendations: Numbers 30, 32, and 35 in relation to the Palestinian context. Through the session MIFTAH shared a developed structured paper done by Dr. Tahreer Araj which aimed to addressing the influential utilization of the three General comments to be considered as a reference for the Palestinian women’s movement in advocacy and lobbying at the local and international levels towards demanding protection for Palestinian women and girls given the circumstances of Israeli occupation and internal division under which they live in Palestine and the Diaspora. They also discussed the repercussions of these three recommendations on the specificity of Palestinian women under occupation, which would therefore promote discourse on women’s issues, which Palestinian women engage with the Israeli occupation and other relevant parties in international arenas. The session was opened by GUPW Secretary and CEDAW coordinator Muna Khalili who welcomed the guests and hoped this New Year (2019) would see the liberation of the Palestinian people from the occupation and the establishment of their independent Palestinian state with Jerusalem as its capital. She continued that the session was being held in cooperation with the Women’s Civil Coalition for Implementing the CEDAW agreement in Occupied Palestine, which MIFTAH and GUPW head, and was meant to shed light on the three recommendations to deepen understanding of these recommendations and how to utilize them in the benefit of Palestinian women. MIFTAH CEO Ibtisam Husary then welcomed the participants, sharing her hope that the session would produce the necessary recommendations from the discussions. Furthermore, gender consultant Dr. Tahreer Al Araj presented the MIFTAH-commissioned analytical study on the three CEDAW recommendations and their compatibility in the Palestinian context. She gave a comprehensive presentation of the study’s results and general recommendations for working with them at the Palestinian level. Regarding Recommendation 35, these included: expanding the concept of protection for women to include economic and financial support; to produce a clear intervention strategy with mechanisms for their protection; to pressure decision-makers to ratify the family protection draft law; to develop a clear legal text in the Personal Status Law that raises the age of marriage and criminalizes child marriages; to include material on gender-based violence in the civic education curriculum; to work on establishing a system of full protection for battered women that is clearly adopted by the state as part of its strategic plans and budget; to urge the PA to publish the CEDAW agreement in the official newspaper and work on aligning Palestinian legislations, laws and policies to them; to adopt legislation for overcoming the discrimination in ownership for women and their right to inheritance; to ban amnesty for sexual violations; to involve women in all aspects of designing and implementing the treatment of current gender-based violations. In terms of the general recommendations for CEDAW recommendations No. 30 and 32, the session put forth the following: to call on the international committee and its various organizations to legally and morally commit to the protection of civilians in the Palestinian territories in general and of women in particular; to pursue and hold Israel accountable for its grave violations of international law; to call on the UN to implement its 1951 agreements pertaining to the protection of refugees, which 142 states signed; to formulate a national mechanism for documenting violations against Palestinian women by the occupation; to develop the women’s social agenda in the national reconciliation file and include it in the national dialogue; to stress on the imperativeness of women’s representation in official national reconciliation committees; to pressure the PA to implement the PLO Central Council decision of at least a 30% women’s quota in PLO institutions and the PA; to guarantee women’s representation in senior positions in mediation, negotiation and reconstruction processes; and to guarantee women’s representation in PLO councils. The session is part of MIFTAH’s program “Policy Dialogue and Good Governance” which seeks to provide dialogue platforms that guarantee interaction at the national and international level and to influence public policies based on international legitimacy, including international humanitarian law, human rights treaties and UN resolutions of relevance towards achieving protection and equality for Palestinian women.